How to retire to Australia? What's the retirement age? How to apply for Investor Retirement Visa? To retire to Australia one has to first get the Investor Retirement Visa. There are other options available but one must have relative ties to OZ. Below you can find out what conditions you will have to meet to retire to Australia and how to apply. This was established in 1908. The Age pension system which is the first pillar of the pension system in Australia is funded from public revenues. It offers a means-tested fund of 25% of the average weekly income to those with assets and incomes which are not up to stipulated threshold levels. Pensioners who are not married or who have no life partners are entitled to about 28% of the average male wage. Pensioners who are married can get up to 41 percent for their benefits. People who are to benefit from Age Pension should be up to 65 years old. But the eligibility age may be increased to 67 years in the next coming 10 years. Pensioners in Australia who have assets that are very high do not receive any benefits. People with very low assets and incomes are much more likely going to receive full benefit while half benefit may be given to people whose assets and income are moderately high. In 1992, another retirement scheme was established. It is a compulsory retirement saving program known as the superannuation guarantee program. Under this program, employers are required to pay 9 percent of their employees earning to a retirement plan with some tax advantage. This amount will be increased to 12% by 2020. The employees should be 18 to 70 years and their earning should be above the stipulated minimum amount. Each employee that meets the above requirements has a retirement savings account in a Superannuation Fund where the employer will be making the contribution. However, it is also possible to make the contribution in the Age Pension plan. When this option is chosen, the minimum benefit is normally specified. Many employed locals have Superannuation saving accounts. It is estimated that more than 90 percent of labour force already in the labour market has this account. The total assets arising from the Superannuation accounts are not higher than the Gross Domestic Product of Common. In 2005, a legislation was enacted which makes it possible for employees to choose a Superannuation Fund of their choice. 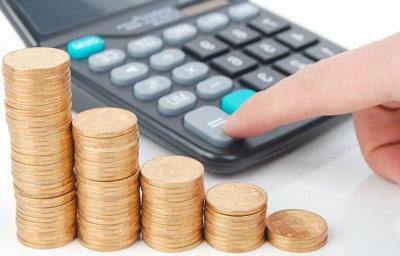 There are different ways in which this Superannuation account can be organised or managed. An employee can choose to organise or manage it by himself or herself or hand it over to a retail financial company to manage for him or her. It can also be organised and managed by a private or public employer or industry group. Workers are also given the right to invest their savings if a number of assets such as bonds, alternative investments such as private equity, stocks, real estate and the likes if they wish. Voluntary saving is the last part of the Australian retirement programme. As implicit from the name, the employees going into this plan go into it out of their free volition. There is no law mandating any person to go into voluntary saving. Voluntary savings refers to any extra contributions made by an employee to the superannuation fund or to any other pension account. It is normally called salary sacrifice. However, a good number of citizens are not able to make this contribution. Only about 20% of the employees who are eligible for the program go into it. This 20 percent is more of upper income earners. It is expected that the number of people making salary sacrifice will dwindle by 2020 when the mandatory superannuation contribution will be increased to 12% of the incomes. 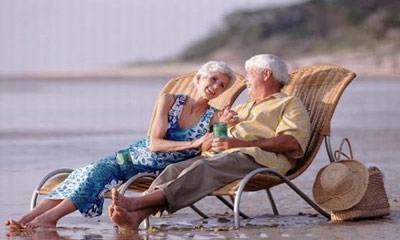 The above mentioned Australian pension systems have yielded a lot of benefits to the country. It has helped the country to achieve the major goals of any retirement plan system. Poverty during old age or after the retiring has been reduced to minimal. With the superannuation fund program, employees can make enough saving which will be enough to take care of them during their old age. They can invest the money in many ways and thus have some assets to fall on during sickness or any other life adversities. It also makes it possible for them to have something to leave for their children if they want. The official name of the retiring permit is - subclass 500. To apply for it you will have to prove that you have enough money to support yourself. You will need to declare where you want to live as there are different requirements for the metropolitan and non-metropolitan areas. $65,000 AUD net annual income from investment or pension rights. The founds to be invested hast have been present and available on your account for at least 24 months before making the application unless you have inherited them recently, they come from the pension rights acquired in the UK or are superannuation founds related. Unfortunately this type of document does not give you a right to the permanent stay. You should apply to renew your Investor Retirement in Australia permit before the current one you hold expires. You can stay in OZ as long or as short as you want. There is no maximum or minimum time you can residing in the country. You can benefit from the national healthcare only if you are a visitor or the citizen. Unfortunately the IRV does not allow you to benefit from the Medicare (equivalent of NHS in the UK). You will have to buy a private insurance or pay for all doctor visits, hospital and medical services by yourself. In most cases before you will be given the go-ahead you will have to obtain an insurance for the duration or your stay. It is advisable before you decide to retire to Australia that you obtain an advice from professional relocation agents regarding the tax implication for you. It is important that you know and understand how much money will be deducted from your investment incomes or from you pension. 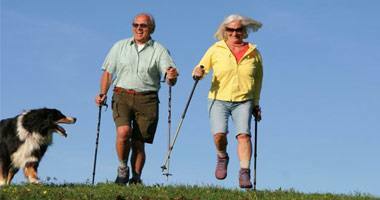 Once you have become and a happy pensioner you will need to pay the income tax where you live. If you have paid some income tax already in the UK you will not be charged again for the same tax year due to the double taxation treaty with the United Kingdom. the figures above are exclusive of the Medicare contribution. From the moment you are retiring to Australia your UK pension will be be frozen. It means you will no longer receive the annual increase. For that reason from year to year your pension will loose its buying power. As you will not get any pension increase from year to year for your pension you will be able to buy less goods. The number one requirement for the issuance of this document is that the applicant must be above the age of 55 years. The next is that the applicant must not have any other dependence except his spouse. The applicant must also have the financial capability to support himself while in the country without recourse to the welfare and national social services. Because of the aforementioned, the applicant must come with his health insurance and social security protections, because this retire to Australia permit does not offer any Medicare coverage entitlements. Another requirement is that the person applying for the investor retirement visa for Australia must be sponsored. He or she must be sponsored by either the state or territory government agency. Now, the rule is that the person to be sponsored by this government agency must make an investment with the treasury corporation of the State/Territory government that is sponsoring him. 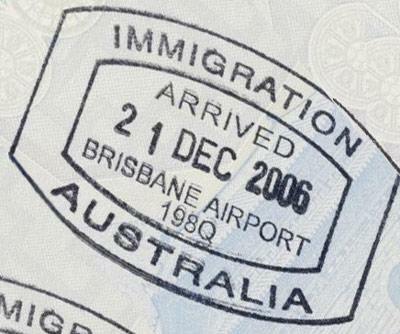 However, it should be known that the amount of information about the intended place of residence which the applicants provide for their application determines the amount they will be required to meet as the annual income, settlement and the designated investment for them to qualify to be granted this visa. This is one thing that is also universal. The Commonwealth Embassy officers will always judge your eligibility to retire to Australia from UK or rather your qualification based on the amount of information you provide about yourself. This is one thing that plays out well whenever you are demanding for the Australian retiring visa. You will be judged or considered as eligible or qualified to retire to Australia in question depending on the amount of information you give about yourself. The inn thing is that the document you provide must be able to corroborate what you provided as information about yourself in the pass application. But here, we are not talking simply about information you provide about you. We mean that the information you provide as it concerns the place you intend to live in will be considered side by side with what you will provide as the settlement, income and investment amount. If you want to invest in the highbrow areas, you have to come up with some huge amount as opposed with the small amounts you can present if you want to live in the simple and less developed areas. This is the simple meaning here. When you apply for the Moving to Australia Retirement permit and your application is approved. The thing that will follow is that you will be offered the pass to travel in and out of the country indefinitely for a period of 4 years. However, this also offers you a chance for extensions in the sense that you can also apply for an extension of another 4 years before the expiration of the first 4. However, there is the possibility of continuous application for extension so far as you keep meeting the requirements. Though this retiring to Australia document can never get you a permanent residence or citizenship status, the rule is that there are no maximum period for which you can stay on the continent with the consecutive Investor Retirement Visas. One more thing you must note is that, if you have any family or children in OZ, there will be no room for any form of concessions in this case. 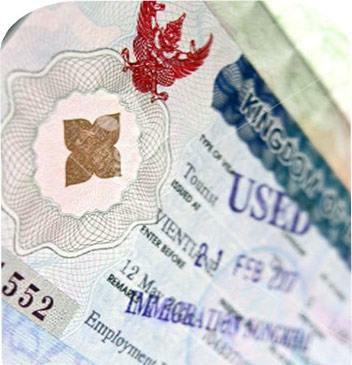 It is a visa that does not depend on others, and which does not affect others. For more information concerning the retiring to Australia procedures, conditions and programs please contact our office. We will be happy to give you some advise and tips on how to transfer your UK pension to OZ, calculate the income tax you will have to pay and work out the amount of money you will receive. We will what's your situation and whether it is worth retiring in OZ for you. If you have any questions like - what's the retirement age, how to retire in OZ or how to transfer your UK pension we contact us. We will be happy to help and publish all the answers on this page. Please also note that the requirements and conditions to obtain the retiring visa keep changing. Some of the information on this website may not be up-to-date and should be taken as a guideline only.